Takings were also high on days when Vauxhall Gardens put on their popular balloon ascents, as crowds thronged the neighbouring streets, as well as the bridge itself, to witness the fearless 'aeronauts' (as The Times called them) taking to the air. (In the 1990s a tethered balloon operated from Spring Gardens, on the site of Vauxhall Gardens, offering panoramic views over London, but it closed in 2001, unable to compete with the London Eye.) Vauxhall Bridge was a good viewpoint for a rather more bizarre kind of entertainment in September 1844, when spectators could witness Mr Barry, a clown from Astley's Theatre, sail from there to Westminster Bridge in a washtub pulled by a pair of geese. In 1879 the bridge was bought by the Metropolitan Board of Works for £255,000 and freed from toll. In 1881 the two central piers were found to be unstable as a result of scouring by the Thames, and they were removed, creating a larger central arch. However, the bridge was soon found to be in a poor state and, despite further work to strengthen the foundations, there were calls for it to be replaced. In 1895 the London County Council, the bridge's new owners, obtained permission from Parliament to build a new bridge, and in 1898 demolition of the old bridge started and a temporary bridge was put up.There were to be many delays in the construction of the new bridge, beginning with the vociferous criticism from many quarters of the first design for a steel bridge by the LCC's resident engineer, Sir Alexander Binnie. The LCC's response was to ask him to design a bridge of granite-clad concrete, which was greeted with less condemnation than his first design, but was still not popular in architectural circles. Work on the foundations was started but, during the construction, it was found that the clay would not be able to take the weight of a concrete and granite bridge, so, with the piers already built, it was now decided that the superstructure would be built of steel instead. Although Binnie was due to retire from the LCC, he worked with his replacement, Maurice Fitzmaurice, on the new design. Finally, five years later than originally planned, the bridge was opened by the Prince of Wales (the future George V) on 26 May 1906. Vauxhall Bridge, with its distinctive statues. 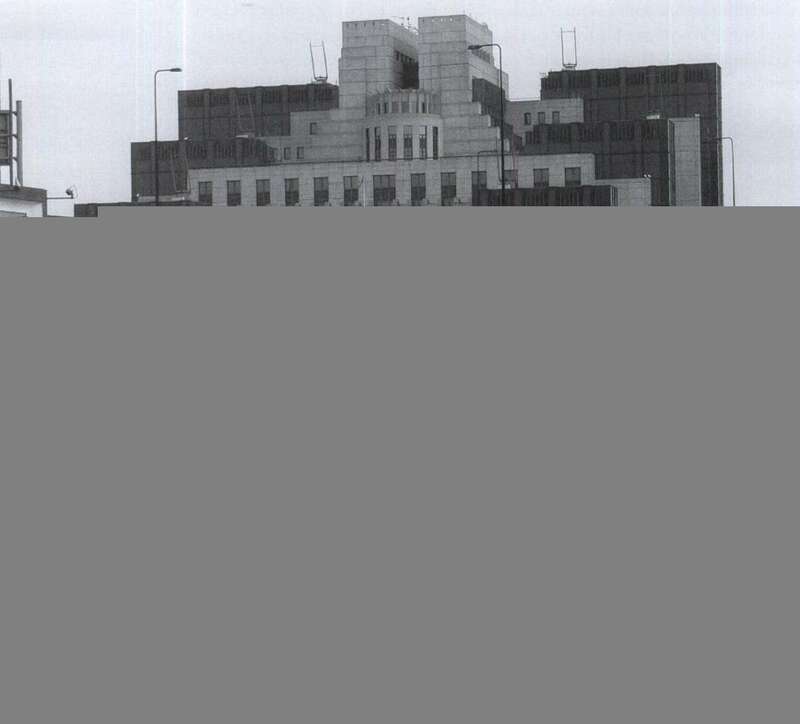 Behind is Terry Farrell's Vauxhall Cross building, which houses MI6. Its construction had cost £437,000 and taken eleven years. The bridge is 80 feet wide and 809 feet long and consists of five steel arches supported by granite piers. When it opened it was fairly plain, with little decoration, and many influential architects had complained that the LCC had not consulted any architects in the design of the bridge. To counter such criticism, in 1903 the council had asked its own architect, W. E. Riley, to look into possible decorative elements, and he suggested adding sculptural groups on the cutwaters and two 60-foot pylons topped by statues at the Westminster end of the bridge. The idea of the pylons was eventually dropped for financial reasons, but, after consultation with the architect Richard Norman Shaw, it was decided instead to erect monumental bronze statues above each of the piers.